The fungus overwinters in twigs over the winter, with spores splashing to new foliage in spring. 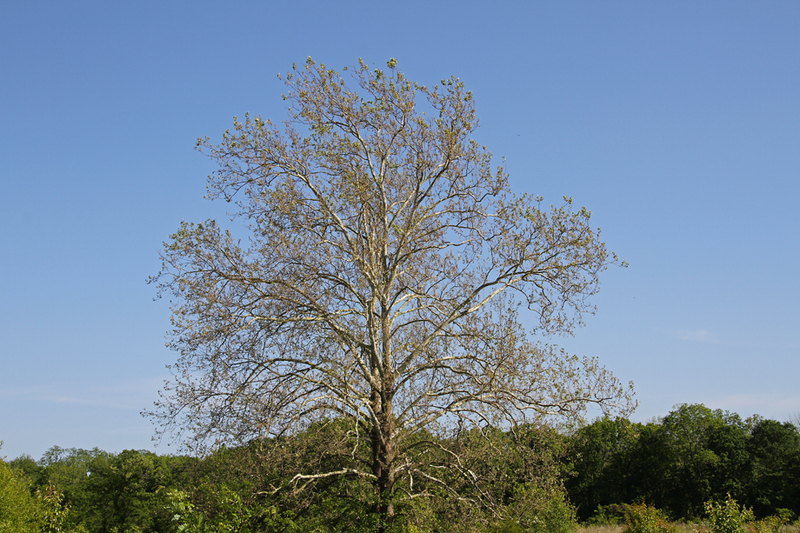 Leaves developing during warmer weather are less susceptible to infection. So, sprays are usually not warranted earlier for most planetrees and sprays applied now are even less warranted as the season progresses, since earlier infections will not be eradicated by these sprays and the tree should recover in any case.